TV content discovery is at the heart of the battle among TV and video providers and is key to achieving customer satisfaction, according to a new report by IHS Markit. 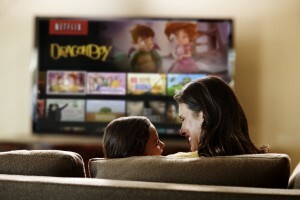 The research firm’s ‘Connected Devices and Media Consumption’ survey, which polled viewers across five markets, found that those who engaged less frequently with newer content discovery methods were more likely to rate video services poorly on overall user experience. Of respondents who rated the user experience on at least one video service “very poor,” 18% still preferred to find content by clicking through channels, while just 12% of those who rated a user experience “very good” use the same method. “This finding highlights the importance of encouraging users to engage with other, newer forms of content discovery on video platforms, in order to improve overall satisfaction with the user experience,” said the report. Similarly, just 25% of monthly users of network-provider TV everywhere services in the US – FOX, ABC and NBC – rated these services “very good” for finding content they want to watch. A quarter of this group also rated its overall user experience as “very good”. The research surveyed viewers in the US, UK, Japan, Brazil and Germany.